Product #18651 | SKU RODMICON6 | 0.0 (no ratings yet) Thanks for your rating! 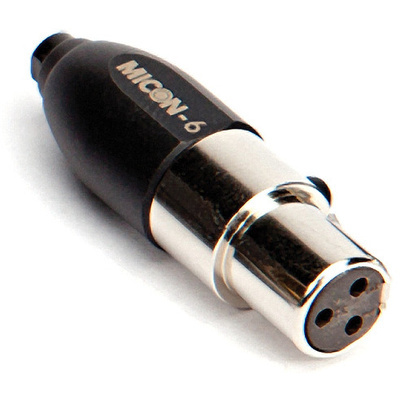 The Rode MiCon 6 Connector is intended for use with all Rode headsets and microphones that utilise MiCon connectors, such as the Rode Pinmic and lavalier microphones. The adapter features a mini 3-pin female connector that is compatible with the AKG PT40, PT60, PT61, PT80, PT400, PT2000 and PT4000 bodypacks.